With the TrackMotion automation system, a ”TransLift” unit runs through the machines on a rail system (track). Functions of the TransLift include picking up and placing parts with different heights, and the positioning and turning over of workpieces. TrackMotion makes it very easy to interlink machines with each other. In addition, the TrackMotion automation system is extremely fast. TrackMotion is an automation solution that combines the traditional setup of conveyor belts, pick-and-place units and turn-overs into a single system. The TransLift, a lifting and rotating carriage with programmable electric gripper, races back and forth on a rail (track). The TransLift covers 150 meters per minute, rapidly conveying the parts between the machines and the part-storage unit. 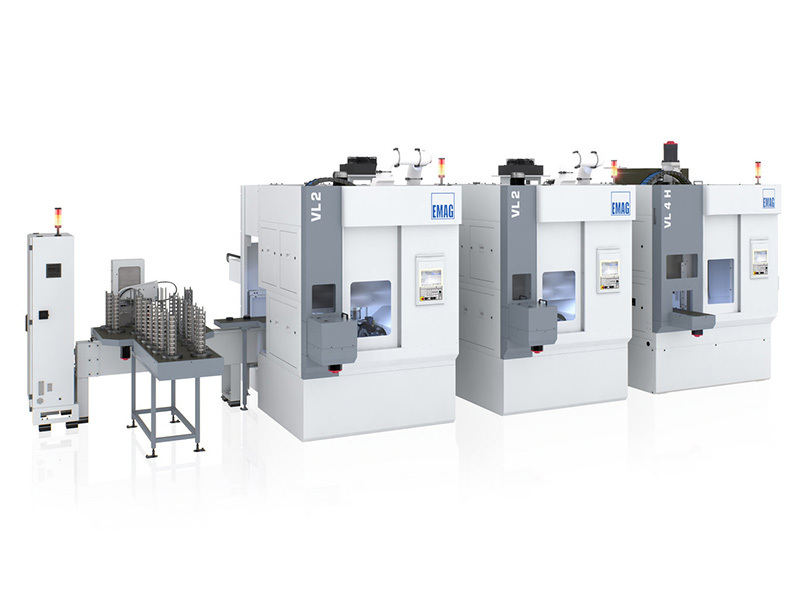 A complete manufacturing system with TrackMotion consists of three perfectly coordinated units: the modular machine tools (e.g. the VL 4 for chucked parts up to 200 mm in diameter), the TrackMotion automation system, and the infeeding and outfeeding conveyors. These conveyors, which act as storage units for the parts, can be laid out flat (for large workpieces) or in a three-dimensional structure as “stackers” for smaller workpieces. 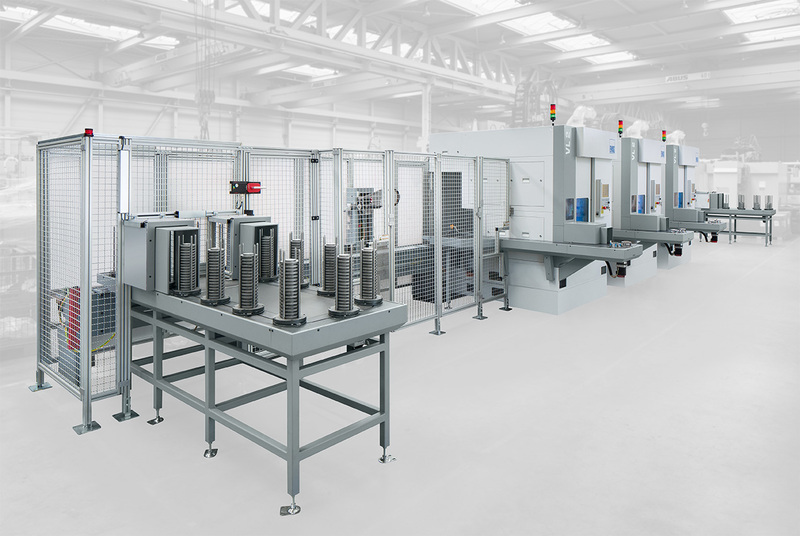 The latter option in particular offers huge performance in a very small space, allowing several hundred workpieces to be stored ready for processing. 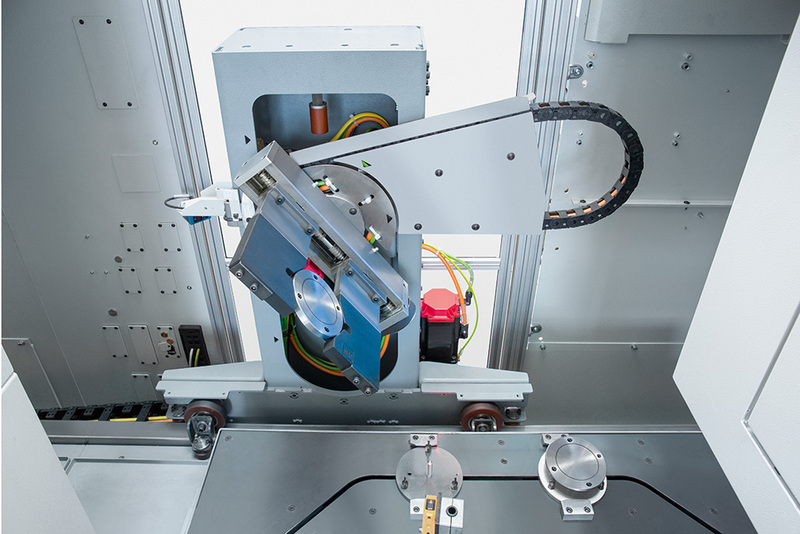 For this purpose, the TransLift is equipped with a Z-axis that permits lifting up to 650 mm. 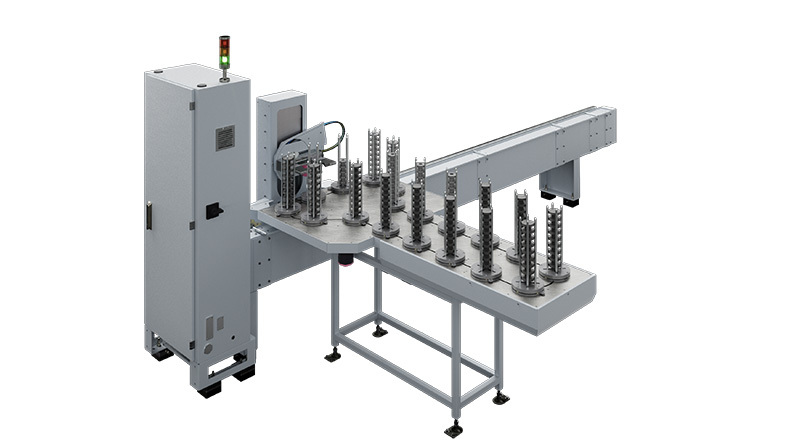 In addition, the gripper can turn over the workpiece, and thus replaces traditional conveyor belts, pick-and-place units, and flip-over units. This allows the setting up of extremely "lean" assembly lines, since both the modular machines and the TrackMotion system have a very small footprint.